This level have normal difficulty and you need to use good strategy to complete this level. 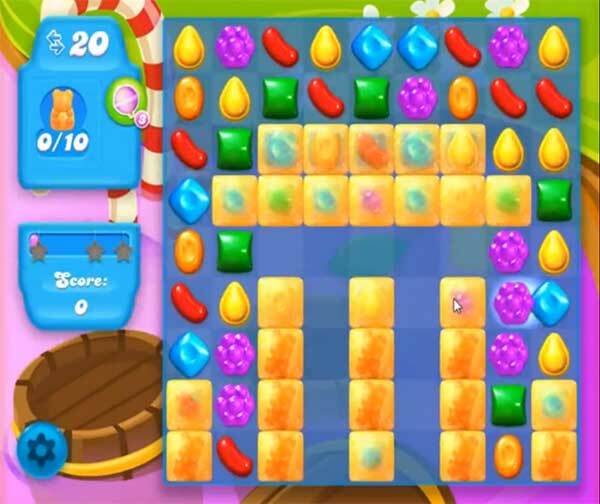 For this level you should try to play near to honey to eat them or make special candies like fish by make square of two rows and columns of same color candies. After try to play near to remaining honey to eat them to save the bears.